Blues-scorched rock/trip hop - Tricky music in other words - from the man himself with Ivy, Han Xingzhou and Wim Janssens a.k.a Skilled Mechanics on one side, and linking with the legendary Milo on B-side's skulky dub, 'Necessary'. "The enigmatic voice on the single's A-side, "Beijing To Berlin," belongs to the Chinese rapper and producer Ivy 艾菲. 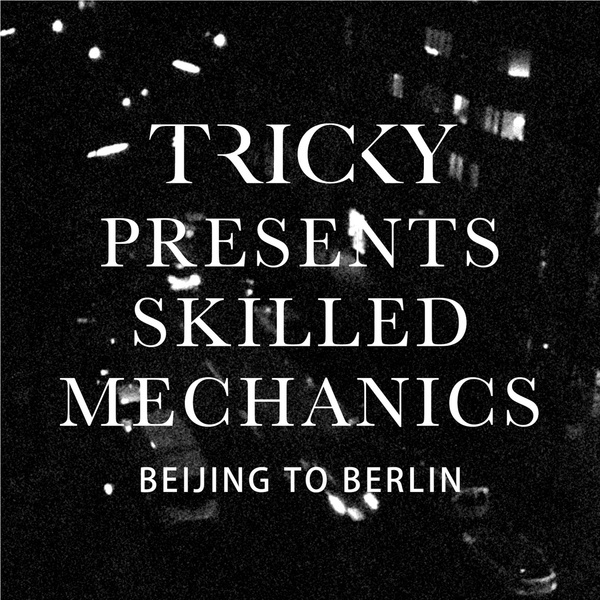 Tricky explains: "I was in Beijing for a show and I met this guy who managed her. She's so different! So raw! The strange thing is, I've had the track for a while but I only just found out that she’s not rapping in Chinese. I ain’t got a clue what language it is. I have no idea. It might be completely made up but whatever it is, it sounds wicked. I’m lucky that with my label, False Idols, I don’t need to worry about things like this. I'm never going to have an A&R guy saying to me, ‘We don’t understand what she’s saying.’ Because we don’t need the support of commercial radio. It was my real good luck meeting her and she's definitely going to be on the next Skilled Mechanics album as well."